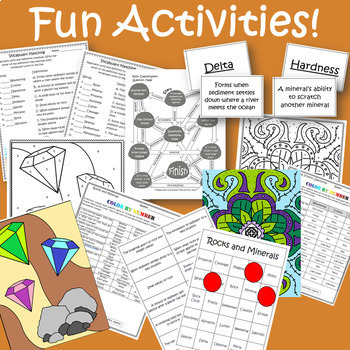 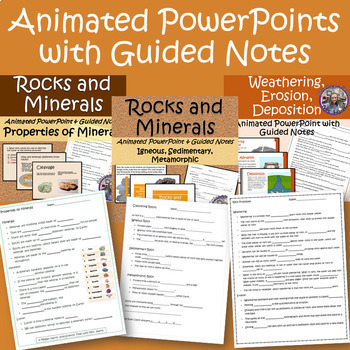 Rock Types/Properties of Minerals Activity BUNDLE Ready to use! 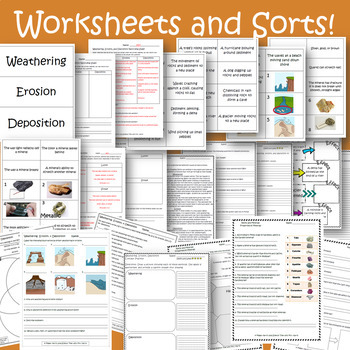 Weathering, Erosion, Deposition, BUNDLE- Ready to use Activities! 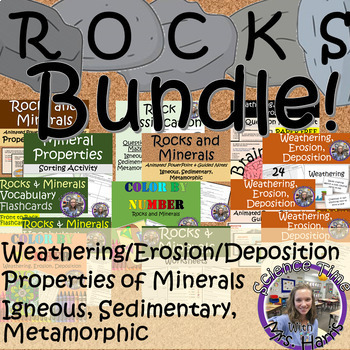 This BUNDLE includes every resource you will need to teach the Properties of Minerals, Types and Classification of Rocks, and Rock Process such as Weathering, Erosion, and Deposition.